In today’s era digital marketing has become an intricate part of life. Digital Marketing has become an essential root for success not only for an individual but also for millions of organizations including business organizations that mostly opt for digital platforms to promote their business. Social Media Marketing being a major aspect of online marketing. Social Media is taking over the entire word that impacts everyone’s life entirely. Social media has become a daily drug for 80% of the population. Millions of people find product recommendations through internet services which together with social media sites is becoming a key part of any business. This why advanced Social Media Optimization is necessary. Social Media Optimization is the optimization of a website for its content and promotes on diverse social media platforms to reach its targeted audience. In other words Social Media Optimization is looking at your website from the perspective of social media consumption, and try to figure out what elements on your site could potentially be optimized better for social media. Looking at the elements on your site in determining how you might be able to use social media to optimize your particular site a bit better to get more engagement or traffic or conversions potentially from social channels. People who already fit the mold for your ideal prospect could be typing away on social media discussing their needs, wants and desire. By addressing to these conversations we fill the role of a problem solver by simply optimizing the particular websites required to be optimized. SMO influences your business. If you poke around social media platforms long enough you will begin to see some people or brand being mentioned by others or possibly being listen at the top of your queue due to the relevance and content. We highly focus on the relevancy of your brain on the social media platform and try optimizing in a suited way. The demand for Social Media Optimization has uprooted the roof in 2019. 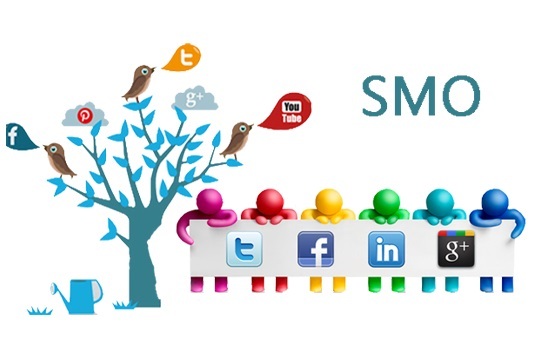 You can increase brand awareness and trust with SMO. Makes it easier for a content to go viral. Helps retain the existing customers. Makes it easier to target new customers. Promote your business organically using Social Networking site, namely Social Media Optimization. Get maximum reachability of your ideal user with advanced SMO. Promote the local business in the best possible way with advance social media optimization. As social media optimization is cheap promote your online market in an easy and cost effective way. Advanced social media optimization do not provide with any physical limitations while promoting any business or organization or companies. In urgent fashion the demand (7000+ jobs) for SMO professionals is high in India. Be smart enough to get an exciting job. The importance and demand of SMO in India are high on bets.